It's always a thrill to hear those Canadian's in flight announcing the Autumn chill in the air. 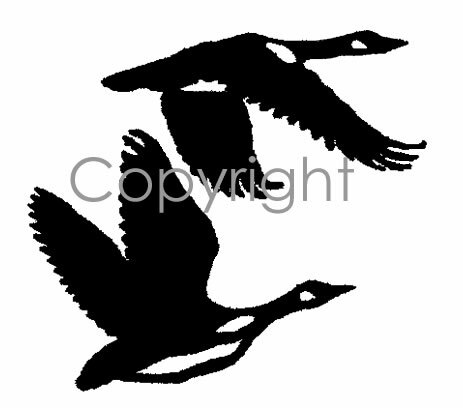 This Flying Geese decal will help you express your love for the Canadian goose. . 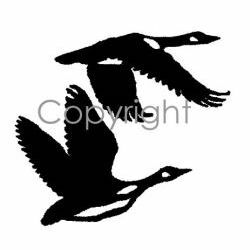 These Waterfowl Hunting vinyl decals and stickers are for display on trucks, cars, trailers, boats, gun cases & other smooth surfaces.